Comfort category rooms are located in the historical wings with direct access to the patios. Each room of approx. 20 m2 (single room approx. 14 m2) is equipped with oak plank flooring and box spring beds. All our rooms are non-smoking. 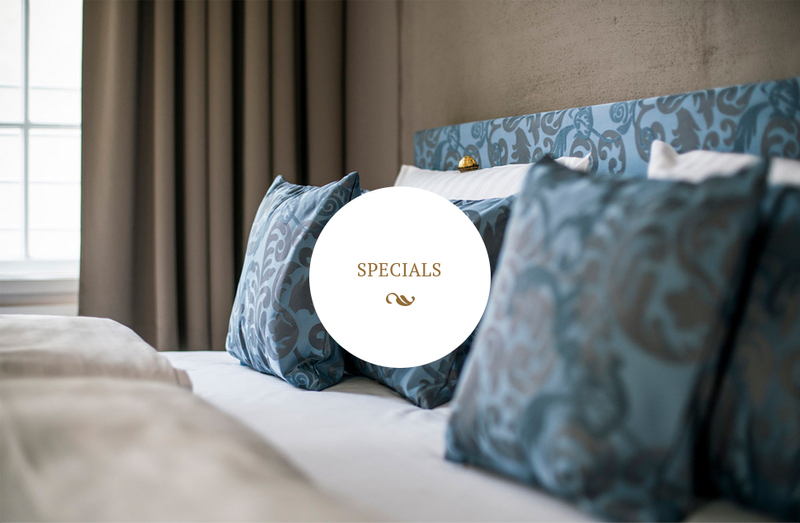 Spacious and full of natural light, the Premium category rooms are located on the upper floors of the front building with historic windows overlooking Oderbergerstraße. Each approximately 25 m2 room (single room approx. 14 m2) is fitted with oak plank flooring and comfortable box spring beds. All our rooms are non-smoking. Approximately 23 m2 and with 5 meter-high ceilings, the large duplex rooms are located in the aisles of the Oderberger Stadtbad: a lower level living room and bathroom is connected by wide iron staircase to the upper level sleeping area with kingsize box spring bed. The ceiling height in the sleeping area is about 170 cm. All our rooms are non-smoking. One small apartment for 2 - 4 people and one large apartment for 2 - 8 people located in the attic with floor to ceiling windows and balconies offering a fantastic view over Berlin. The apartments are furnished with oak plank flooring and a kitchen. All our rooms are non-smoking. Exceptionally spacious and full of natural light, the Premium category rooms are located on the highest floor of the front building with historic windows overlooking Oderbergerstraße. Each junior suite is about 30 m2 and is fitted with oak plank flooring and comfortable box spring beds. All our rooms are non-smoking. The Hotel Oderberger has a beautiful tower with 5 floors. Each floor accommodates a studio (23 sqm), equipped with twin beds, an ensuite bathroom and a kitchenette. There is no elevator in the tower, but the upper studios have a fantastic view of the GLS campus. All our rooms are non-smoking. The Hotel Oderberger has 3 spacious rooms (ca. 27 sqm) located on the Souterrain floor which feature a barrier-free ensuite bathroom. The rooms are accessible via elevator and automatic doors and are located just below the ground level, close to reception, bar and pool hall. Barrier-free access to the building is via a lift to the left of the main entrance. Restaurant and swimming pool are also accessible barrier-free, the sauna is not barrier-free. Note: Not all of the historic doors in the building open automatically, our reception is happy to help if needed. All our rooms are non-smoking.